I will be emailing y'all shortly (and maybe even tweeting)! Congratulations and thank you to everyone who entered and for helping me get where I am today. I love being able to share my love of food! I have been stalking following Kristan from Confessions of a Cookbook Queen's blog since I started blogging. I love her sense of humor. She posts the most delicious looking treats. 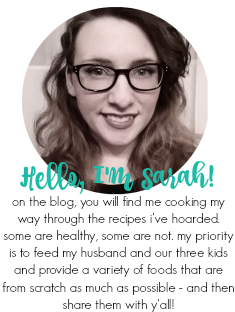 She started a super hilarious and sometimes informative website called That's What We Said with her bff, Shelly, of Cookies & Cups (another super amazing blog!). If you love to laugh and you love to drool over sweets, visit her blog (and Shelly's)! Layer milk, cake mix, frosting, and then ice cream in blender. Pour into glass(es) and garnish with sprinkles and whipped cream. I have made these before and they are to die for! I saw some funfetti cake mix on sale the other day and bought 2 packages, just so I would have some for these shakes! My daughter and I would love these. I would love if you could link this to Thursday Food Fest at http://www.theeaseoffreeze.com. I open Wed at 7pm. Hope to see you! My daughter has been begging for the birthday cake shake from Zaxby's lately. I'll just make one of these for her instead! Thanks for sharing! I need to make these...now! They look mighty tasty!